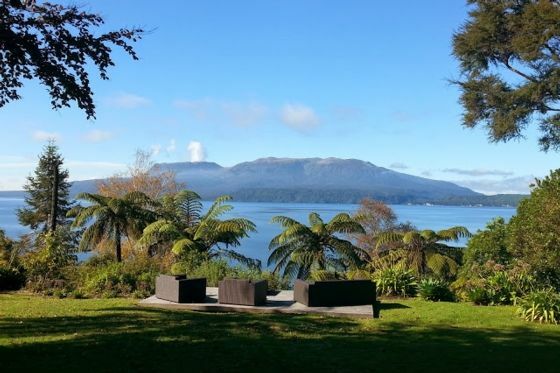 Great location 15 minutes to Rotorua and close to Blue and Green Lakes and Buried Village. Stunning remote lakeside bach with great opportunity for walking, fishing, boating, skiing, biking, relaxing. If you yearn for a bit of pampering, that can be organized on site or nearby at Lake Okeraka - phone Evana (07) 3628007 in advance and she can book you in for her beauty therapy treatments. Property to be cleaned by guests to standard of cleaning on arrival. Cleaning, however can be organised for you for an additional cost of $100. Lovely spot and house, very helpful hosts! Beautiful location with everything you need! The home was clean and tidy with plenty of room. The spa was awesome, and access to the beach and boat-ramp was easy. Dealing with the owner was a pleasure, all my questions were answered in a timely manner, and plenty of information was given regarding the property. Would stay here again! Wonderful property and easy stay, thank you very much! We had a fantastic time with my wifes' immediate family. Spent a lot of time at the lake, in the water, on canoes, or on our boat. Drive to Rotorua wasn't too far with many other attractions around the area. My wife thought this would be paradise to live in permanently. Thank-you for a wonderful holiday. What a beautiful spot this bach is! It was perfect for our weekend away.